And now for the big reveal — answers, with explanations, for the latest set of clues. The definitions are underlined. 1. Shame about poison for humans (4,7) = HOMO SAPIENS. Anagram (indicated by about) of SHAME + POISON. 2. Row of bushes missing first side (4) = EDGE. This is a deletion clue. Row of bushes = HEDGE. Missing first = remove the first letter (H). Which leaves you EDGE. 3. Citrus Mole misbehaving in post office (6) = POMELO. An anagram, indicated by misbehaving. The fodder is MOLE + PO (for post office). 4. American city’s sample of tomahawks (5) = OMAHA. A hidden word clue, indicated by sample of. It's in clear view, inside tomahawks. 5. Khan plays test in Uzbek capital (8) = TASHKENT. An anagram (indicated by plays) of KHAN + TEST. 6. Adhesive from grated tapes (5) = PASTE. An anagram (grated) of TAPES. I've finally got a new set of (easy) cryptic clues for you to solve. Just the thing for a chilly winter's day. So get a cup of hot <insert favourite hot beverage name here>, and a pen, and let me know how you get on! I don't know about you — but there's only so many words I can take. I wrote Word Searches For Dummies on a challenging deadline. (Actually — let's face it, all my Dummies books were written on 'challenging deadlines'. Hmmm.) My brain was getting a bit melty from all the words ... but jigsaws saved me. I kept a jigsaw next to my computer, and took regular short breaks to work on it. It got me out of my chair, away from the screen, and thinking of something other than word searches. A bit of visual fun and thinking, rather than endless wordy stuff. I got through at least three large jigsaws while writing the book, including an almost impossible one of Escher's Relativity drawing. Nowadays there are squillions (it is so a word) of jigsaws. They may have a few simple pieces or multi-thousand pieces. 3D shaped puzzles. Jigsaws without straight edge pieces. Jigsaws with 'extra pieces'. Double sided jigsaws. Online jigsaws. All white jigsaws! How did we get to this alarming point? People have, naturally, been playing around with images for thousands of years, and mosaic art could possibly be seen as a type of early jigsaw. 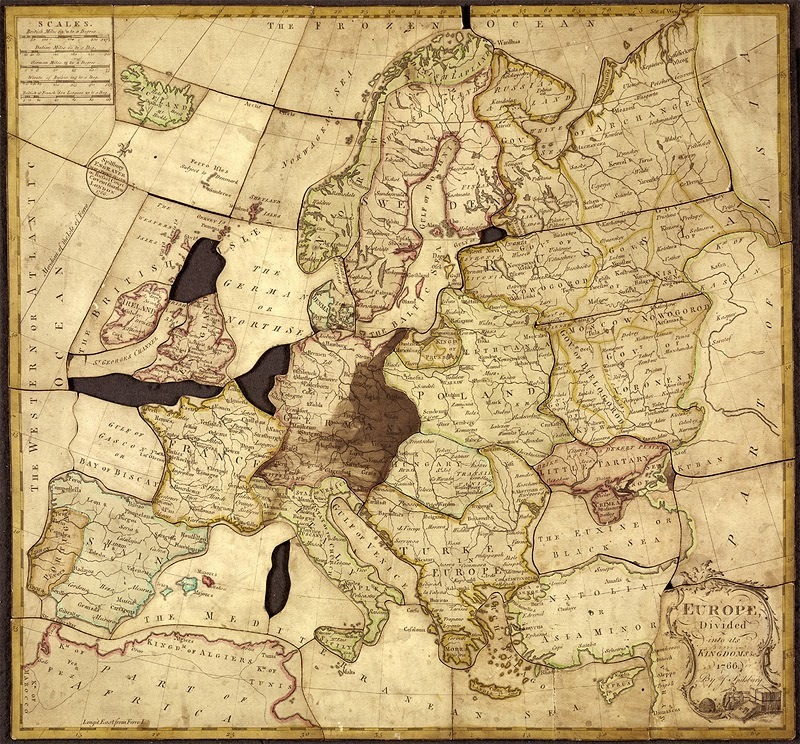 But the first true jigsaw, where a picture is cut up with the intention of being put back together, is credited to engraver and map maker John Spilsbury. He started with his 'dissected map' of the British Empire around 1766. He quickly moved on to include maps of other regions. The maps were glued to wood, and pieces were cut around the shapes of the countries. These dissections were used as a teaching aid for the children from wealthy families. You can find out more about the first jigsaw on the British Library website. Sadly John died young, so his idea passed on to others to develop. The popularity of dissections grew in the 1800s. They were mostly maps, cut along country borders, with an educational focus. After 1820, the subject of dissections also moved on to religious and moral teaching for children. And around this time some more daring types started to make non-educational (gasp) puzzles, with scenes from fairy takes and nursery rhymes. For fun (gasp again). NEW PUZZLE MENACES THE CITY'S SANITY; Young and Old, Rich and Poor, All Hard at Work Fitting Cut-Up Pictures Together. SOLITAIRE IS FORGOTTEN Two Clergymen, a Supreme Court Justice, and a Noted Financier Among the Latest Converts to the Craze. The Golden Age of jigsaws was during the 1920s and 1930s. They were especially popular during the Depression, proving to be an inexpensive entertainment for families, that could be done by many people, pulled apart once completed, passed around, reused and shared. In the mid-1930s manufacturers started to include a picture of the finished puzzle on the cover of the box. Jigsaw 'loaning libraries' were set up, and jigsaw parties, with prizes for the fasting solving times, were popular. Over time, the designs of what we now think of as the 'classic' jigsaw pieces were developed. There are many sorts of puzzle shapes, though, from colour line cutting (cutting along the edges of a shape, like with the dissected maps, cutting along the edges of countries) to special figure pieces (which can be shaped like animals, people, letters, numbers, and so on). 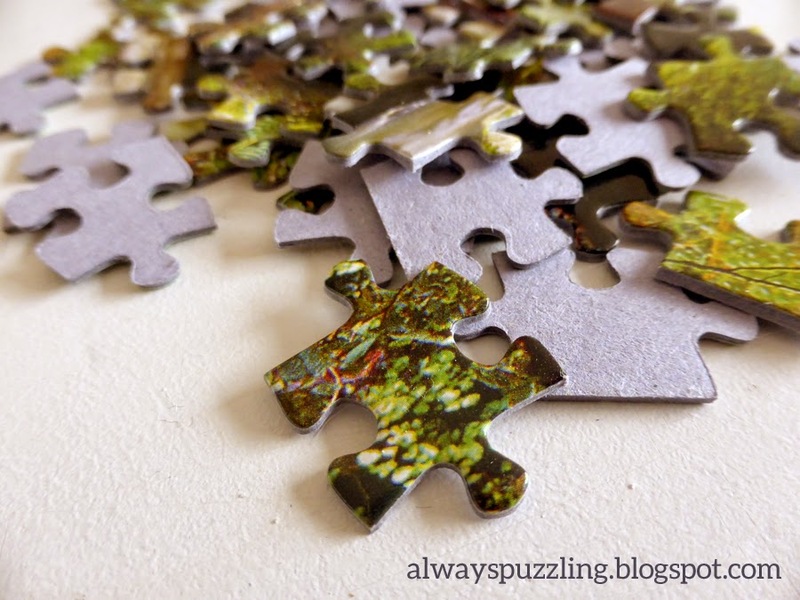 This article goes into detail about the cutting techniques on old jigsaws. And nowadays there are so many new designs and ways of doing jigsaws ... but that's a story for another time! But it's clear that the Lady who wrote from London in 1909, predicting a short life for these enjoyable puzzles, was way off! If you are really into jigsaws, I can recommend reading the book The Jigsaw Puzzle: Piecing Together a History, by Anne D. Williams. 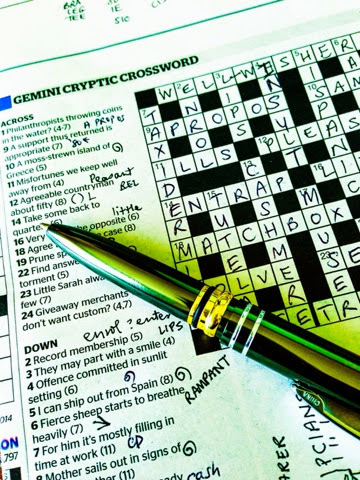 Here is my analysis of the Gemini Cryptic Crossword from Monday 16 June edition of The Canberra Times. The definition is underlined (except in cryptic definition and double definition clues). A charade clue with a reversal — A + PROP (support) + OS (this returned = SO reversed). Anagram (strewn) of a moss. Cryptic definition. We keep well by staying away from ills! Container clue — PEASANT (countryman) gets put about (or around) L (fifty, in Roman numerals). Reversal and charade. Some (PART) goes back to become TRAP. And it also goes on the back of quarters = EN (east and north). Cryptic definition. The opposite of very much. Charade. Agree can be a verb meaning MATCH, and fight = BOX (also as a verb). Double definition. They're not really completely different meanings of the word, though. Anagram of loves, indicated by torment. Container. A little or short version of Sarah = SAL (although I don't know of any Sarahs who use Sal as a nickname — I've always thought Sal as a short version of Sally. Anyway. I'm sure they exist somewhere!) So, always gets in means EVER is put inside SAL. SEVERAL. 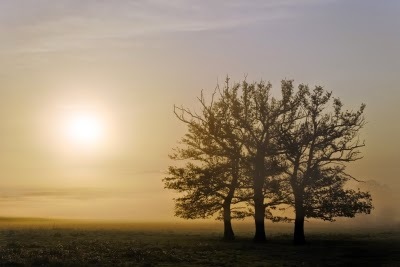 Anagram of sunlit, indicated by setting. Anagram of I can ship, indicated by out. Charade. RAM = sheep, and PANT = starts to breathe heavily. Cryptic definition. These can be hard to get until you have more letters filled in, in the grid. Anagram of mother sails, indicated by out. Charade. CASH (ready money) + MERE (only). Charade + anagram. You, in France = TU. An anagram of later (indicated by change) = TELAR. I wasn't familiar with this word: TUTELAR is an adjective meaning 'serving as a protector, guardian or patron'. I'm not sure the form of the word protection is strictly correct here, as that's the noun form, and strictly speaking, it ought to be an adjective, the same as the answer. Container + anagram. Put us inside (in) an anagram (trouble) of more. Container. Two kings indicates two abbreviations for kings, R (Latin for king = Rex), in this case. And they're embracing, or going around, are, which is in the clear = R(ARE)R.
Reversal. A singer might be a DIVA. And when upset, or reversed, this gives us AVID. Well, moving house (no we haven't unpacked all the boxes yet, shut up), followed by two indexing jobs (Income Contingent Loans, and Born Bad) in close succession kind of occupied all my attention and energy for a few months there. My apologies! 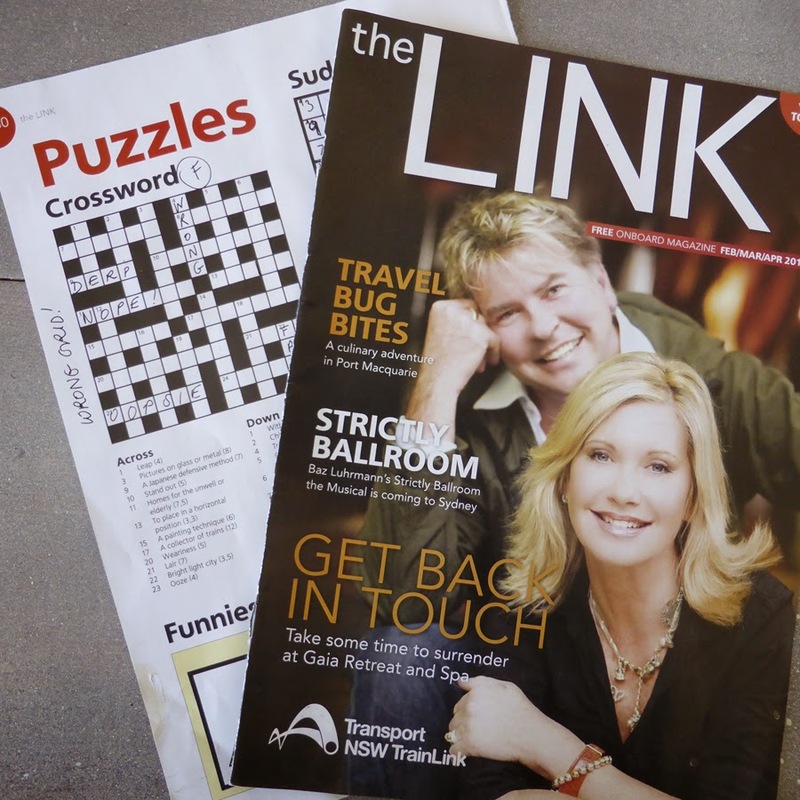 I had a train trip to Sydney in April, and was amused by this crossword in the 'in train' magazine, The Link. 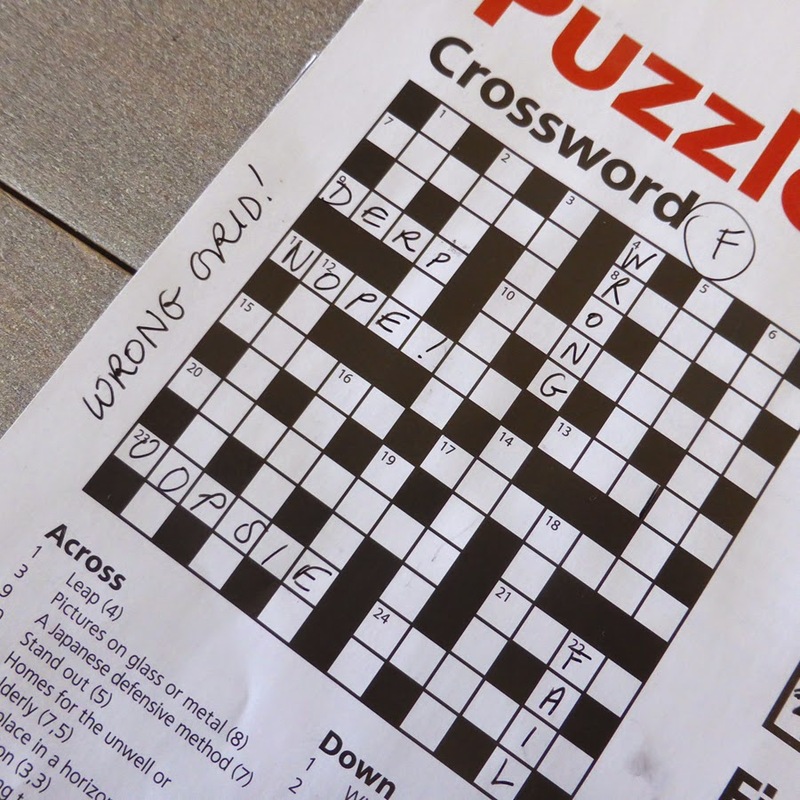 1 Across is supposedly a 4 letter word for 'leap' ... except in the grid it's 1 Down, and there isn't a 1 Across ... and so on. I'm sure the setter was well and truly pissed off to find out the designer put the wrong grid in with the clues (or vice versa)!